I Just Love It is rolling out seven new personalised Thunderbirds books. Priced at £14.99, each book boasts different collections of the original 1960s and 1970s comic book strips, along with classic artwork from Franky Bellamy, Eric Eden, Graham Bleathman, John Cooper and Frank Hampson, with content from author, Gerry Anderson. 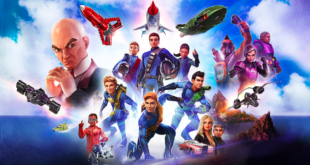 In addition, a Personalised Thunderbirds Collector’s Edition Book for £49.99 will also be available, which features an introduction to the brand with key moments and dates. 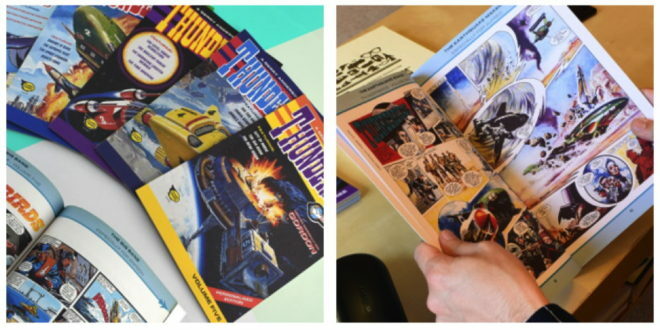 Meanwhile a Personalised Gerry Anderson Collector’s Edition Book boasts comic strips from Thunderbirds, Fireball XL5, Stingray, Lady Penelope and more. Each of these hardback editions can be personalised with a name that will be embossed on the front cover, while the softback versions feature a name on the front cover and in the header of every internal page. “Thunderbirds was a must-watch programme in every household, and the comics were incredibly sought after when first published for many 60s and 70s children,” said Kevin Sears, ecommerce director at Gifts Hub.